181 Marlborough is located on the north side of Marlborough, between Dartmouth and Exeter, with 179 Marlborough to the east and 183 Marlborough to the west. 181 Marlborough was designed by Shaw and Shaw, architects, and built in 1881 by C. E. Clark, builder, and Vinal & Dodge, masons, as the home of attorney John Larkin Thorndike and his wife, Florence (Greenough) Thorndike. They previously had lived at 131 Mt. Vernon. He is shown as the owner of 181 Marlborough on the original building permit application, dated March 15, 1881. They also maintained a home in Manchester. John Thorrndike purchased the land for 181 Marlborough on February 4, 1881, from John Quincy Adams. It was part of a parcel that had originally been purchased from the Commonwealth of Massachusetts on June 13, 1871, by building contractor Silas Whiton Merrill, and had subsequently changed hands several times. 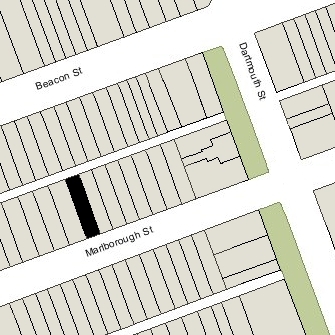 Click here for an index to the deeds for 181 Marlborough. John Thorndike died in October of 1920. 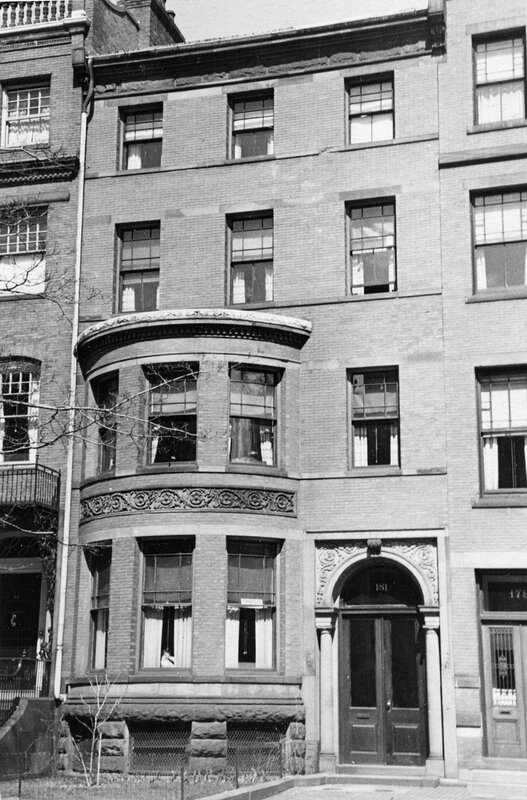 Florence Thorndike continued to live at 181 Marlborough until her death in 1940. On February 19, 1941, 181 Marlborough was acquired by Manley James Sproul. He and his wife, Maizie Arline (Keene) Sproul, made it their home. They previously had lived at 79 Westland and operated a lodging house at 68 Westland. In October of 1941, he applied for (and subsequently received) permission to convert 181 Marlborough from a single-family dwelling into a lodging house. On February 16, 1946, 181 Marlborough was acquired from M. James Sproul by Carlton Lloyd Bain and his wife, Harriet Preston (Kelly) Bain, who continued to operate it as a lodging house. He was a supervisor for the Internal Revenue Service. They lived at 23 Maple in West Roxbury. They also operated a lodging house at 177 Beacon. On September 10, 1947, 181 Marlborough was acquired from the Bains by Charles D. Stevens of Lyndonville, Vermont. On September 15, 1950, 181 Marlborough was acquired from Charles Stevens by Claude W. Yorke, who continued to operate it as a lodging house. He previously had been a lodger at 2 Marlborough. 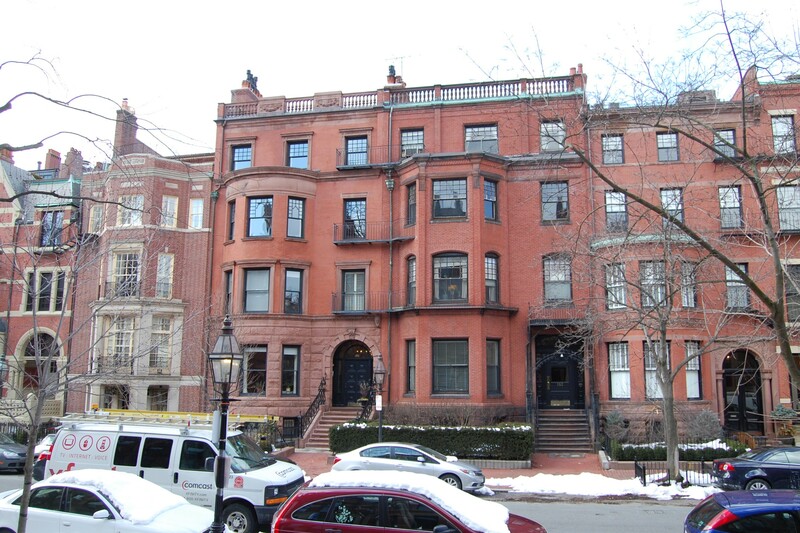 He continued to live at 181 Marlborough until the early 1960s. On February 18, 1963, 181 Marlborough was acquired from Claude Yorke by Herbert Lemelman, trustee of the Bethan Realty Trust. On May 10, 1965. 181 Marlborough was acquired from Herbert Lemelman by Richard J. Reynolds and William R. Smith, Jr. They continued to operate it as a lodging house. William R. Smith, Jr., died in October of 2004, and in June of 2005, Richard Reynolds filed for (and subsequently received) permission to convert the property from a lodging house into three apartments. On October 23, 2005, 181 Marlborough was purchased from Richard Reynolds by the 181 LLC (Matthew Piccione, manager). 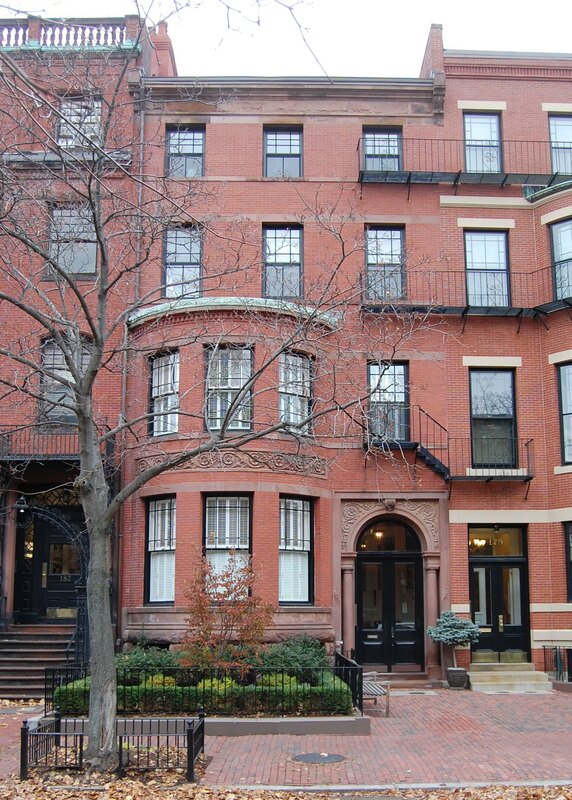 On August 1, 2007, it converted the property into three condominium units, the 181 Marlborough Street Condominium.